Quiet people fully focus on everyone else. Suppose you are busy talking to people in the group. You are interacting with them but your focus is on what you have to say or how you have to deal with things. There are some people who might frown or grin or share a laugh while you are blabbering continuously. The quiet person observes everything. It becomes difficult to cheat on them because they have seen others. Quite people know the best way to utilize their energy. They have strong goals but instead of talking about their dreams and wasting their time, they are busy trying to achieve it. They will start their project on their own, share it with just some people who are required to finish it. Once they are done, the rest of the world knows about it. This comes as big surprise and the work too becomes unique because there weren’t too many cooks to spoil the broth. 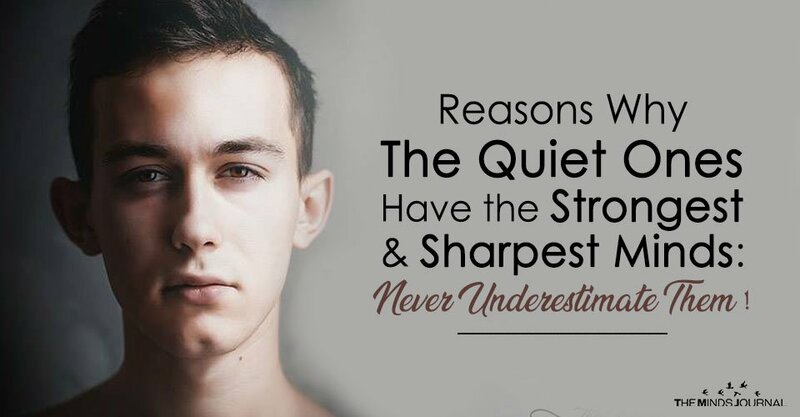 The quiet ones are the strongest ones in the group. Since they don’t reveal much about themselves, it becomes difficult to know their strengths and weaknesses. Silence protects them from being vulnerable. Talking too much and expressing oneself too much makes us open-books. Quite ones are in fact the smartest of the lot. They are clever enough to conceal their secrets and be the strongest. 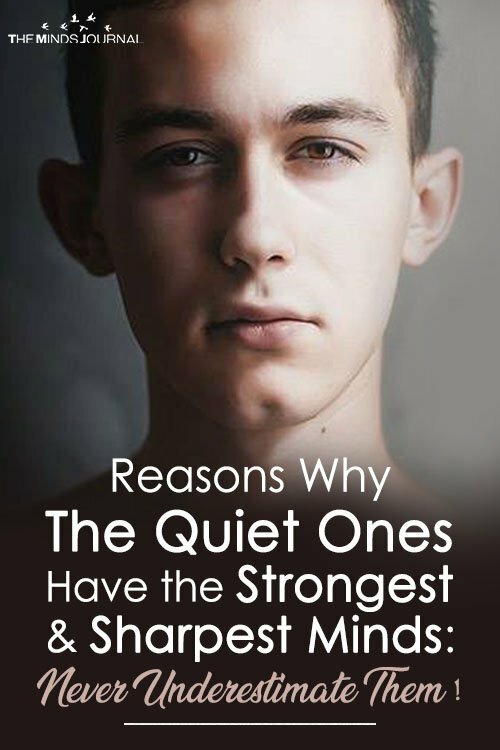 It’s a common misconception that quiet people don’t have social skills. They do have good social skills and they build it slowly with others. They enjoy deep conversations and bond with others from deep within. They enjoy going to parties and remain within their group. People who know them closely love them and admire them. Introverts also know where to draw the line. They will not tolerate any misbehavior. If they are ill-treated, they will speak up for themselves and make sure the person gets the right punishment. They will not tolerate anything which is unjust. Quiet people are some amazing souls one can find in the universe. We have a lot to learn from them. Love them, respect them and once you bond with them, you will become stronger too.